Sikhism is a religion that began in the Northern Indian subcontinent. 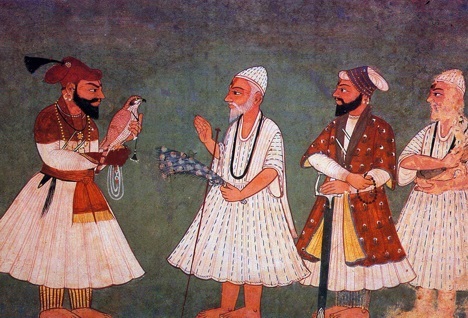 The Sikh religion is based on the teachings of Guru Nanak Dev (1469 to 1539) and the subsequent Sikh gurus. There are believed to be around 26 million Sikhs in the world today, making Sikhism the sixth-largest (by population) organized religion in the world (after Christianity, Islam, Hinduism, Buddhism and Confucianism). Currently, the largest population of Sikhs is found in the Punjab region of India. Prior to partition, a large number of Sikhs also lived in those parts of Punjab which subsequently became part of Pakistan. Sikh populations are also found in many other countries including the United Kingdom, Canada and the United States of America. What is the Sikh religion about? What do Sikhs believe? The five common symbols which identify all members of the Khalsa Panth (the Sikh community). How many Sikhs are there? Where do they live? Where can I learn more about Sikhism?